if you guys follow me on Twitter/Facebook/Path/whatever social media I'm into, you must've known my addiction towards smoothies and juices. It's been my everyday routine for the past months. They're so yum yum and i definitely spot differences in my body after consuming them, i feel healthier and all fresher! Since my friends constantly asking me about this, i was thinking that it would be a good idea to share my favourite recipes on the blog. 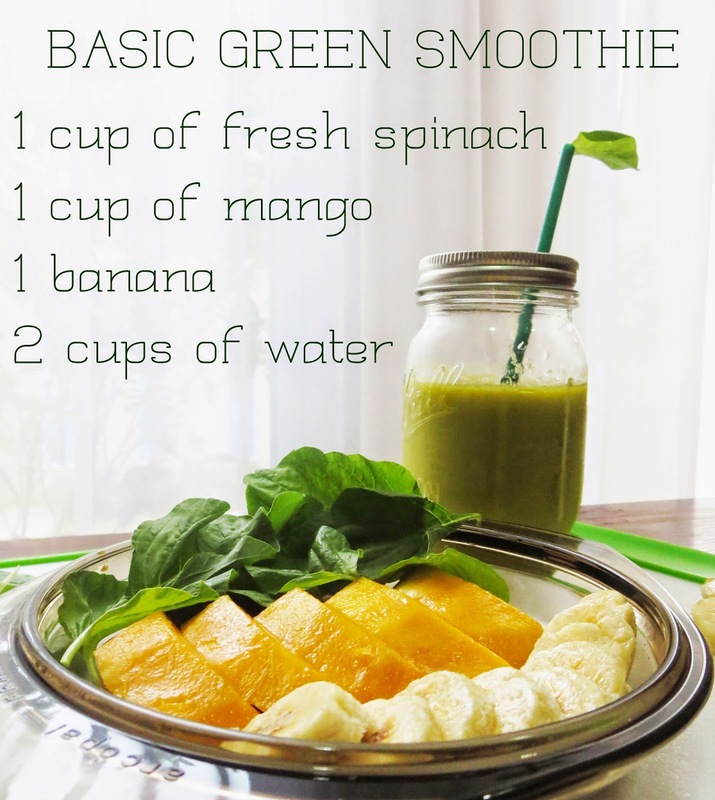 So today, i will share with you one of the most simplest basic recipe that i always go back and make it over and over again, THE BASIC GREEN! Additional: For more tropical taste, you can add 1 cup of pineapple. Spinach : Low cholestrol, fat free and low in calories! (yay!) Vitamins C, A, K and contains a good amount of dietary fiber. Mango : Contains vitamins A, B6,C, E and a good source of potassium. Banana: Vit B, C, good source of finer, prevent highblood pressure, decrease risk of kidney cancer.